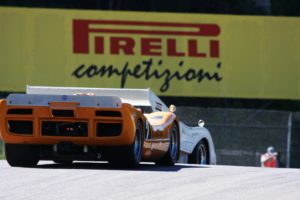 Take your company brand or product name beyond the trackside spectator to a television audience. Various opportunities are available to enhance your brand exposure, including high impact trackside signage and banner advertising, kiosks for display and sampling, corporate entertainment and driving events, and makes the perfect backdrop for your corporate hospitality. For more information on a details package, or to discuss other sponsorship opportunities, please contact our office at 819.425.6363. 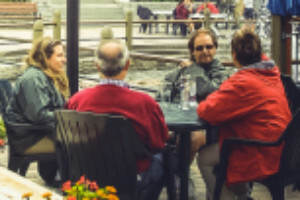 Circuit Mont Tremblant offers more than 2 ½ miles of advertising opportunities to reach on-site spectators, national and international television audiences. Whether an annual basis or just for an event, colorful trackside signage is an excellent way to promote your business and add visibility to your corporate logo. 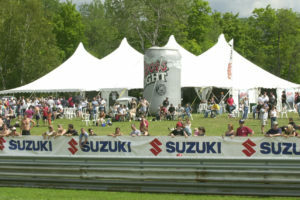 A number of flexible packages are available including trackside event billboards, guardrail signage and banners, along with naming entitlements to permanent structures. 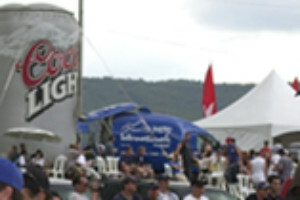 Circuit Mont Tremblant offers a number of sponsorship opportunities to take your company brand or product name beyond the trackside spectator to a television audience. Various opportunities are available to enhance your brand exposure, including high impact track side signage and banner advertising, kiosks for display and sampling, corporate entertainment and driving events, and makes the perfect backdrop for your trackside corporate hospitality. 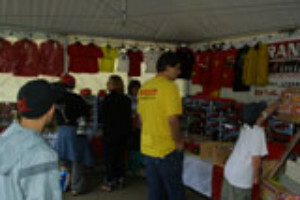 Vending and display sites are available during race events. Located in the main paddock, these strategically located spaces give you the best access to pedestrian traffic at the track. Space sizes can be tailored to meet your specific needs or budget and makes the ideal setting for direct selling, product sampling or enhancing brand awareness for your company.